- Raven listens to the music of the stars as he journeys between worlds. Above him floats the triple moon, symbolizing the aspects of the Goddess. Pendant and bail measure 1 1/2" tall. Pendant is made of bronze. 33" black cord. 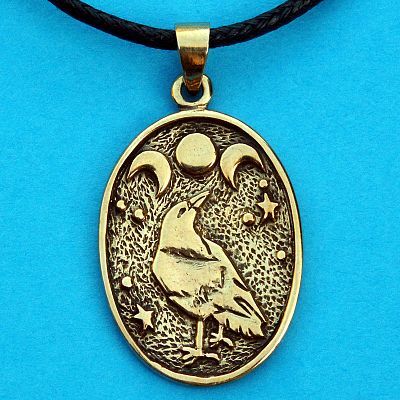 Do you have any other questions about our Raven Moon Bronze Pendant?